Entering the double front doors and the grand foyer, you immediately see the beautiful design of this spacious executive home and the professional designer upgrades. The formal living and dining rooms quality choices include classic light wood floors, transom windows, trey ceilings, decorative archways, niches and more. At nearly 2,900 sqft of 1 level living space it has the WOW factor. Move-in ready condition home with tastefully chosen colors for the interior and exterior, painted in 2018. Remarkable family room with adjacent gourmet kitchen features Quartz counter tops, custom tile back splash, stainless steel appliances, breakfast bar, built in desk and pantry storage. The master suite offers a trey ceiling, two large walk-in-closets, en-suite bath with dual sinks, walk-in shower, garden tub tile floors and private water closet. Guest bedrooms 2 and 3 have ample closet space, ceiling fans and share an attractive bathroom. Unique separate built in desk area is an idea "homework station located just off the kitchen. Bedroom 4 works well as a mother-in-law or guest suite with its own bath and exterior access. Large screened lanai with water-view and fenced backyard, precisely set upon a nearly 1/2 acre lot. 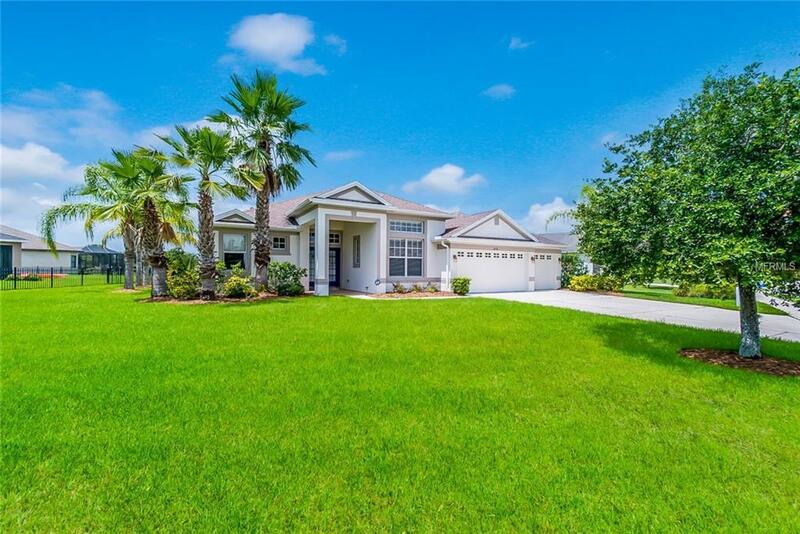 Additional features include lush Florida Style landscaping, 3 car garage with shelving, utility room with front load washer/ dryer, irrigation system, and more! Conveniently located near schools, shopping, and restaurants.